All Vanderbilt University undergraduate students, graduate/professional students, faculty, and staff members have accounts automatically created in Anchor Link. This account is connected to a user’s campus (@vanderbilt.edu) e-mail address and Commodore Card ID number so users will be recognized when they swipe into Anchor Link events. Users can complete their basic profile information, contact information, interests, privacy settings, and notification settings upon logging into the system. See below for detailed instructions on setting up the user profile. Click Account in the pop-out menu after clicking your initial. 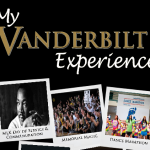 List a preferred e-mail address other than your @vanderbilt.edu e-mail (optional). 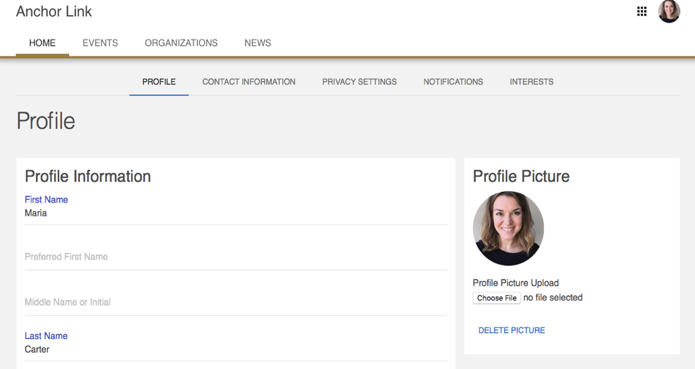 Connect Social Media Profile Links including your Facebook, Twitter, or LinkedIn (optional). Note: You do not need to enter a Preferred First Name, Middle Name, Suffix, or Hometown nor complete any information under the “Demographics” section. Click Contact Information in the gray navigation bar. Provide any contact information that you would like to be displayed when someone sees your name displayed in the system (ex. on an Organization Roster). You are not required to provide any additional contact information. Note: Any contact information you provide or edit here will only be used within Anchor Link. If you have changes to make to your home/permanent address, please contact the University Registrar. Click Interests in the gray navigation bar. 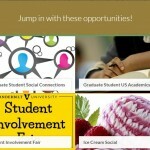 Interests are used to provide customized recommendations for organizations on campus. Go through the folders and select the Interests that appeal to you most. You can update your Interests at any time. Community Directory Settings: Choose which pieces of contact information you would like to “Show” to other campus users when your name is displayed within Anchor Link (Ex. an organization roster). Organization Roster Settings: You may choose to hide your membership or officer positions for any organization so that you will not be displayed on the organization’s public roster. The officers of any organization will still be able to view members who have elected to “Hide” their public membership. General E-mail Notifications: It is strongly recommended that you keep your e-mail notifications set to “All Notifications.” If you alter your e-mail notifications, you will still get messages sent to your Anchor Link inbox. However, you may miss important, time sensitive messages by not having them sent to your e-mail. Text Message Notifications: Providing your cell phone number and turning this feature “On” allows for organizations you are a part of within Anchor Link to send you text messages.